PBS Kids Unveils Sneak Peek of Ready Jet Go! 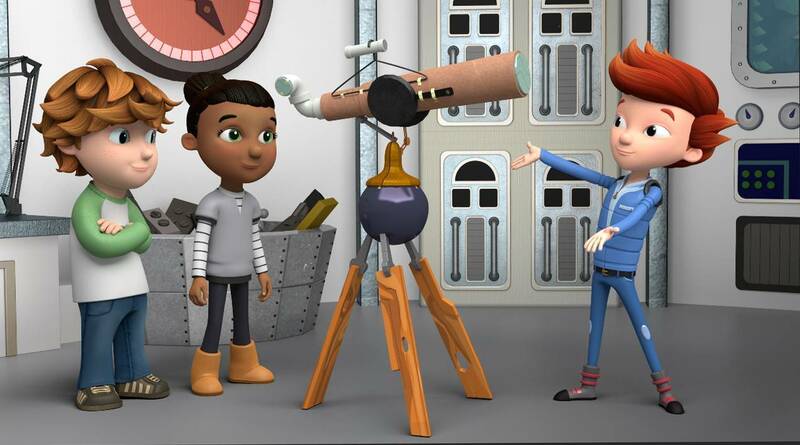 PBS KIDS debuted full-length streaming video content and digital games from its newest multiplatform media property READY JET GO!, an animated series that will help children learn astronomy and Earth science concepts. On digital platforms, viewers can now preview four full-length 11-minute stories from the series. The episodes will continue to roll out throughout the month, totaling 12 11-minute stories by January 29, the most full-length video content PBS KIDS has ever released in advance of a broadcast premiere. The videos are available for free on pbskids.org, the PBS KIDS Video App and PBS KIDS Video on Roku, Apple TV, Amazon Fire TV, Android TV, Xbox One and Chromecast. In addition, two mobile-friendly web games, hands-on activities for children and families and a live stream of the International Space Station channel are available at pbskids.org/readyjetgo.